A self-employed acupuncturist and single mom of a teenage daughter, Bainbridge couldn’t find time for training in her busy life. She felt too out of shape and admittedly hated Maine’s cold waters, even though she loved swimming. Then life threw a curveball. At a routine mammogram on May 18, 2016, a small tumor was picked up by the scan. So small, in fact, that neither she nor her doctor had felt the lump. A subsequent breast ultrasound raised suspicion, which led to a biopsy. 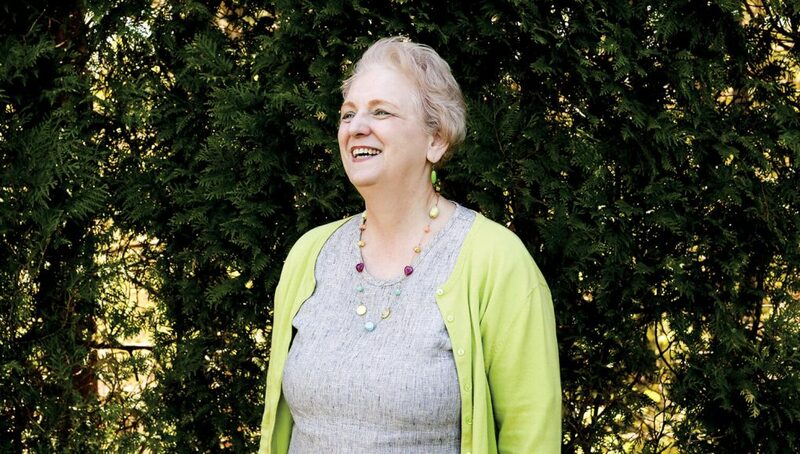 On June 23, 2016, Bainbridge, who at the time was 57, got the news no one ever wants to hear: she had cancer—specifically, stage one breast cancer, invasive ductal carcinoma. 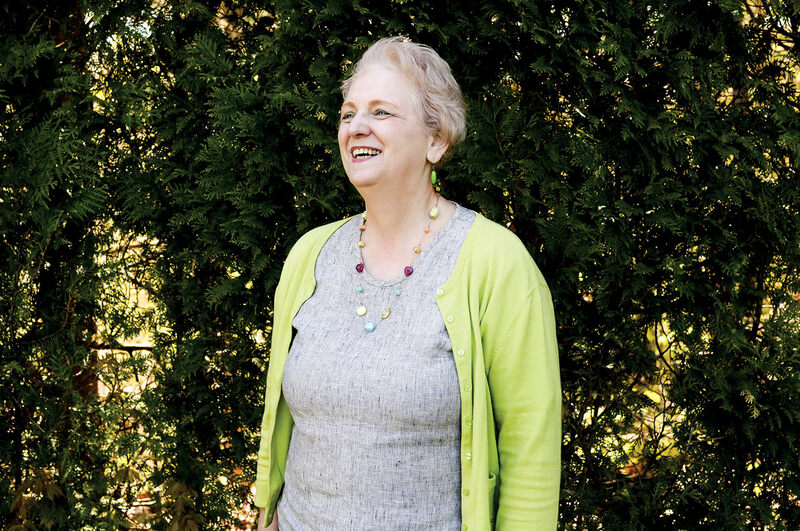 “I was given the choice of either mastectomy or lumpectomy with radiation,” says Bainbridge. She opted for the lumpectomy. “I wanted to keep my breasts,” she says. The lumpectomy occurred July 21, 2016, and the lymph node removed was negative. She did not need chemotherapy but undertook radiation that fall. 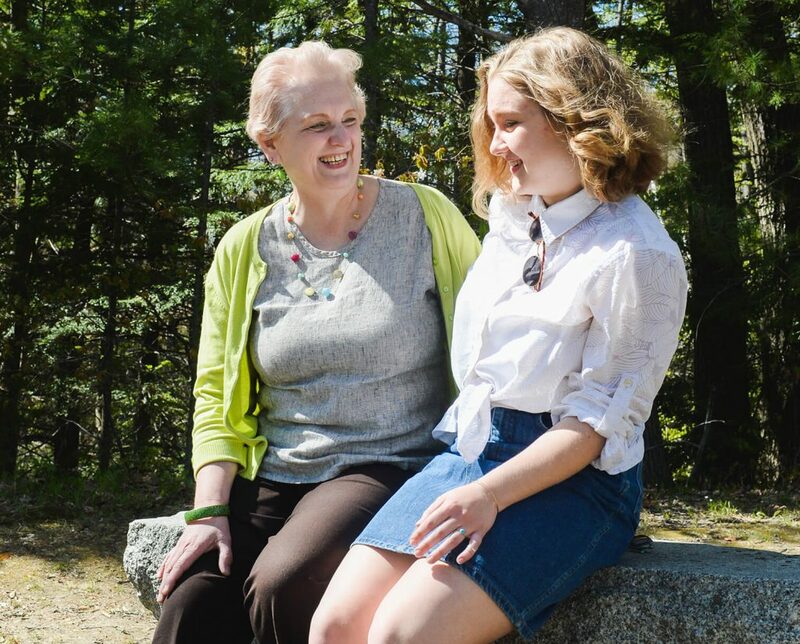 During the time between the lumpectomy and radiation, Bainbridge’s mother—who was just shy of 80 at the time—came from Germany to visit her in Maine for the first time. Together they visited Acadia National park, hiked Little Hunters Beach and, as soon as Bainbridge was cleared by her surgeon, she swam in Echo Lake. “Swimming never felt so good,” says Bainbridge. The thought of swimming in that survivors’ wave carried her through her treatment. “It was the goal I always envisioned when things got tough,” she says. Four days prior to her lumpectomy, Bainbridge joined the hundreds of spectators at the Tri for a Cure for the first time. It poured during the whole event and she cried watching the participants swim, bike and run. Once Bainbridge completed radiation, she shifted her focus from treatment to training. She enrolled in the triathlon swimming program through SheJAMs, an athletic organization founded by three women helping women train for all aspects of a triathlon. Bainbridge was not an avid swimmer, though she did love the water. “I loved to swim and was never afraid of the water. I just hated the cold,” she says. “I swam in Maine’s ponds and lakes during the summer, but never took to the ocean because it was too cold. Having a wetsuit made all the difference,” as did prescription goggles. 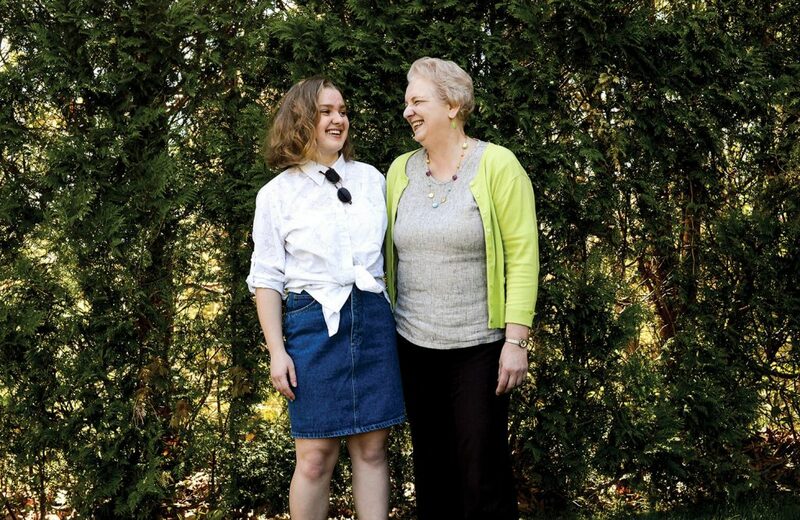 Bainbridge will sit out for the 2018 Tri for a Cure so she and her daughter can focus on college campus visits, since Megan will graduate high school in 2019. However, she continues to swim as if she were participating. It has helped increase Bainbridge’s exercise as she made lifestyle changes as a cancer survivor. As an acupuncturist, Bainbridge has used Chinese herbal remedies and supplements since her diagnosis and changed other eating habits, such as reducing processed foods, sugar, gluten and caffeine, and giving up alcohol.